Communications for Research is a St. Louis-based company. They perform marketing research for the agricultural industry, for many household names. 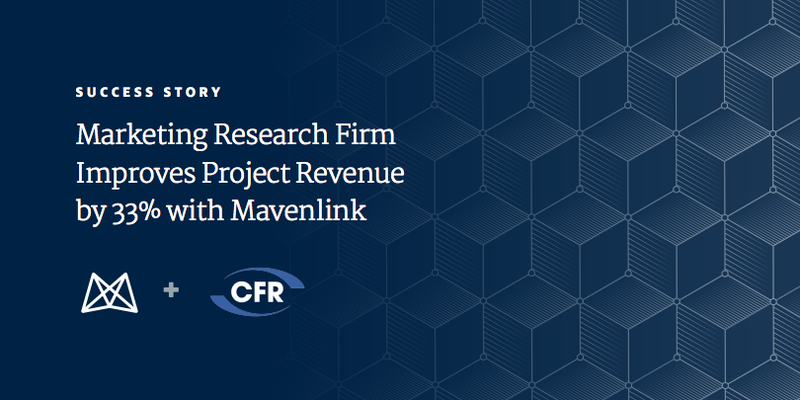 Here is how they replaced Microsoft Access, email, spreadsheets, and a proprietary resource scheduling system with Mavenlink. Or view the Communications For Research Case Study pdf here.